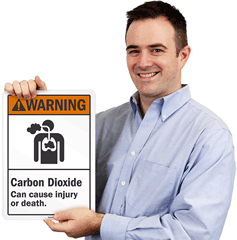 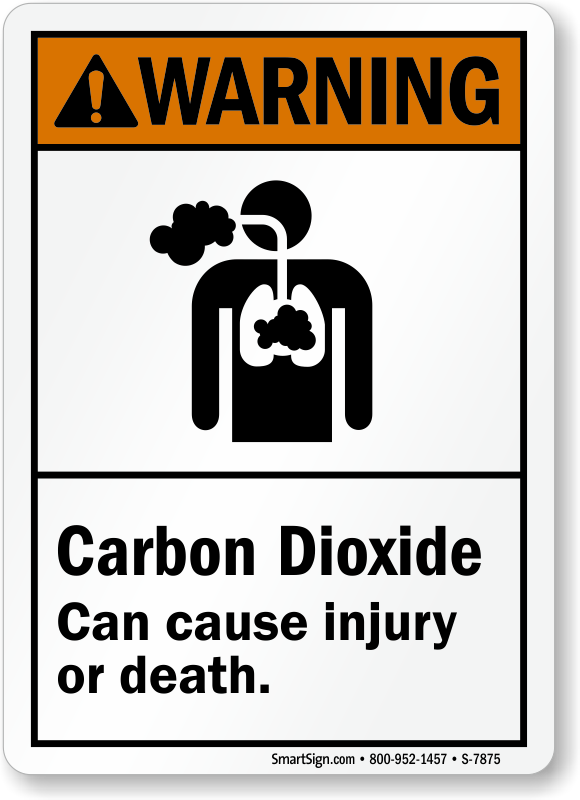 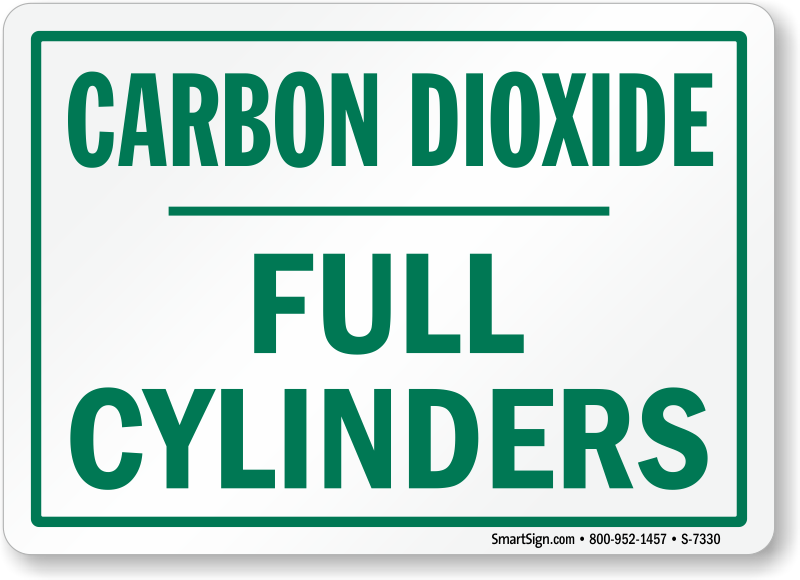 Exposure to high levels of carbon dioxide can be fatal. 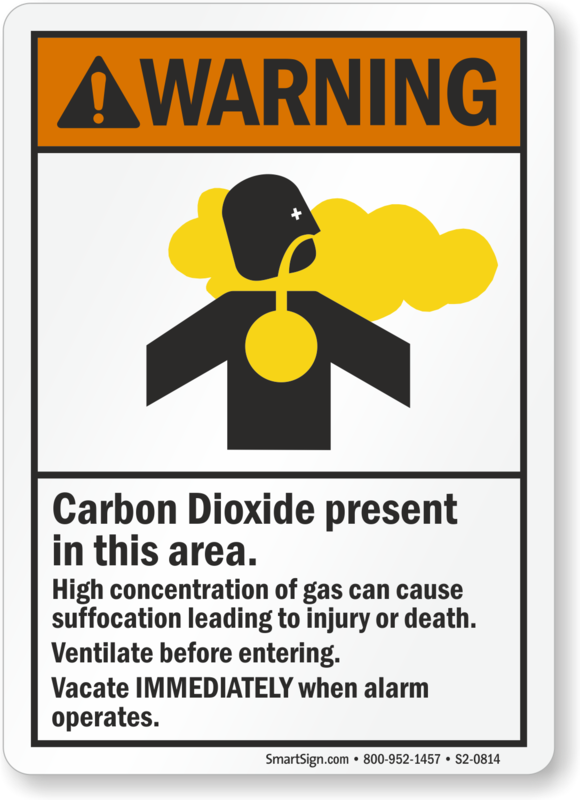 Alert workers to these hazards with the help of conspicuous CO2 Fire Extinguisher Signs. 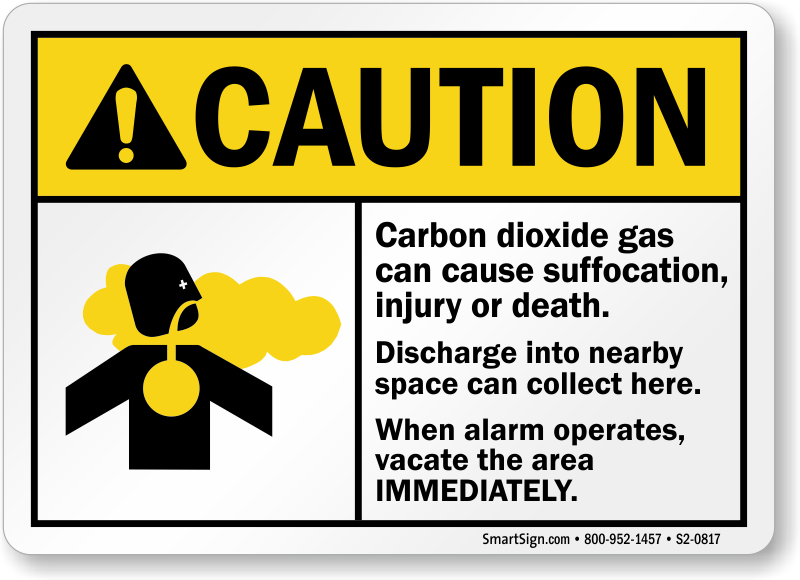 • Signs are available in different headers to signal varying levels of danger. 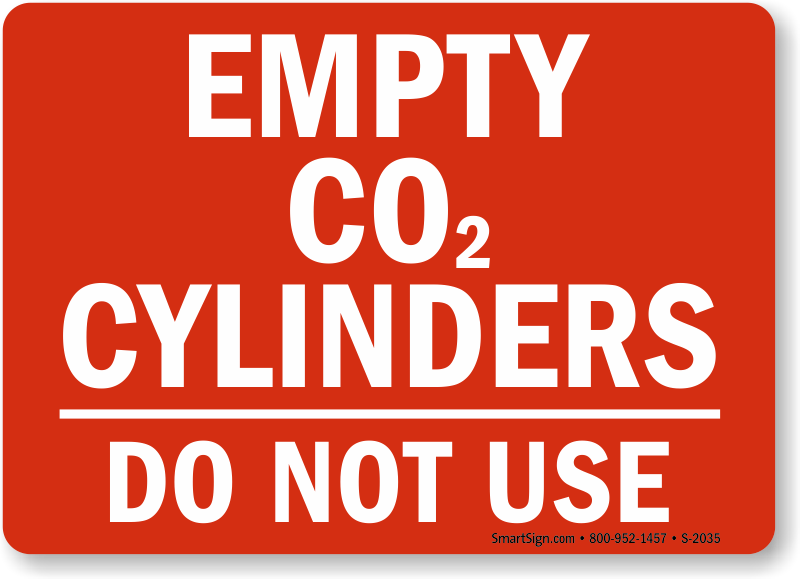 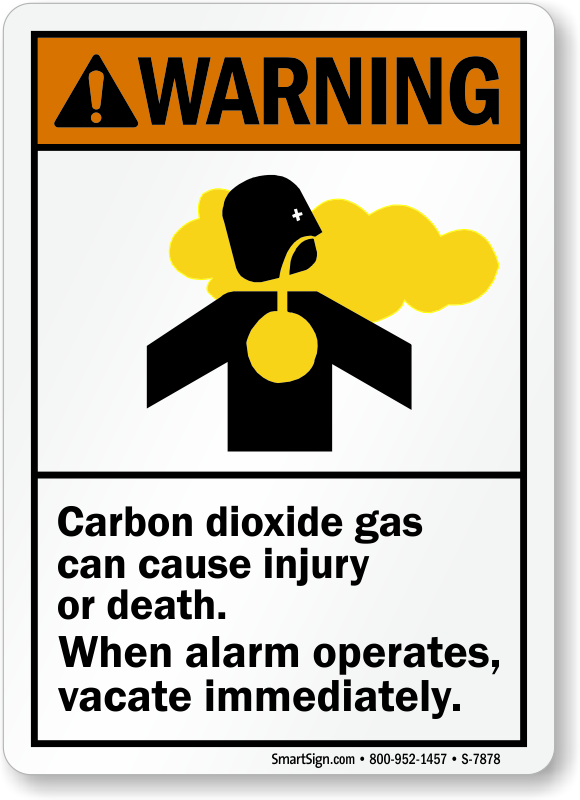 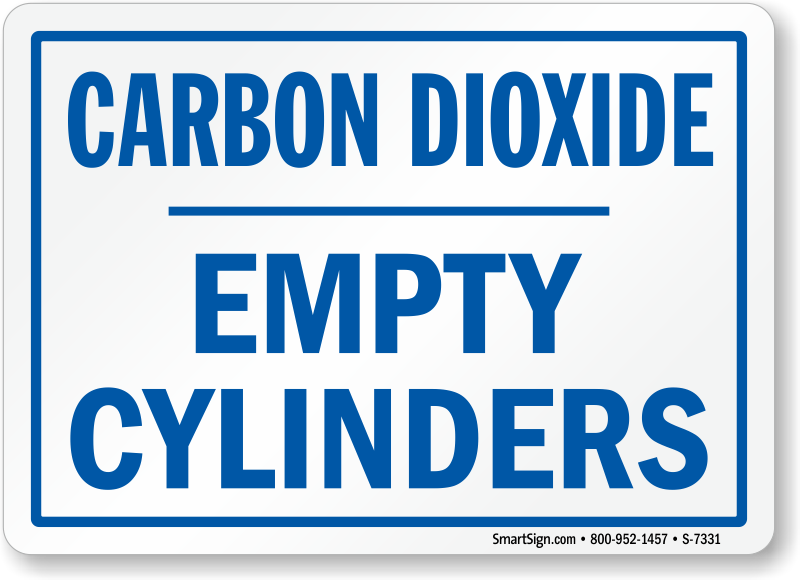 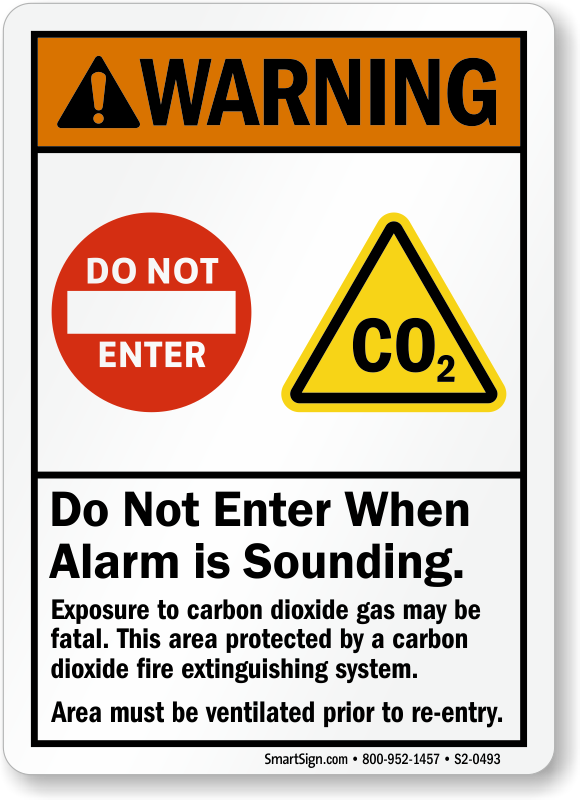 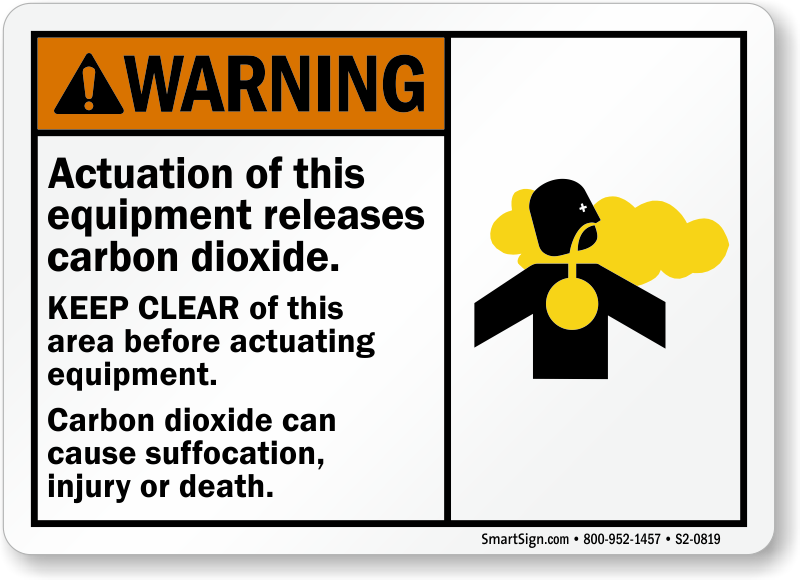 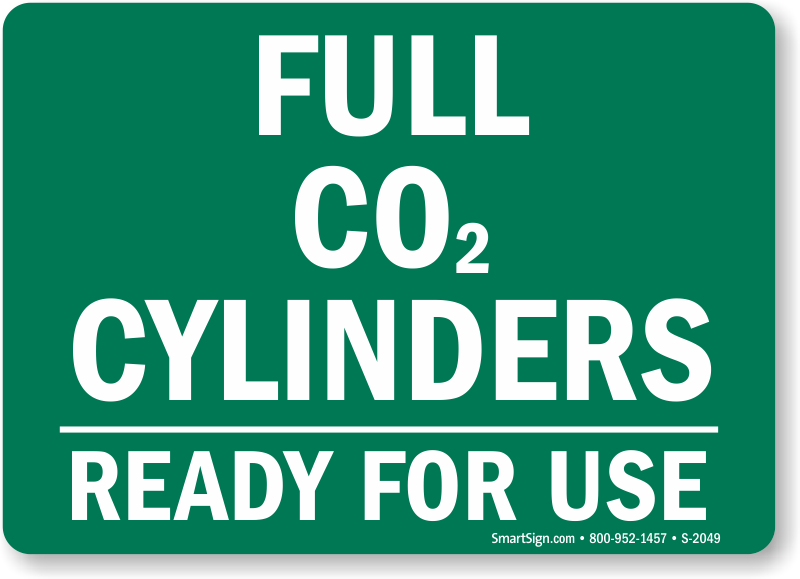 • Post our NFPA 12 CO2 Fire Extinguisher Signs to notify workers of the presence of the gas in the facility. Remind them to safely evacuate in the event of its application, discharge or leaks.